The mission of FAST is to increase school readiness skills of Pre-K children in our community by encouraging families to be actively involved in their child’s education, providing curriculum, educational resources, and trainings for families and early education community providers. All classes are designed for both parents/guardians and children to attend and work together. Pre-K class (4-5 year-olds): Beginning every Wednesday on Sept 18 from 1 pm to 2 pm. Little Me Classes (3-4 year-olds): Beginning every Monday on Sept 23 from 9:30 am -10:30 am. Rural Readiness – (DRS Siblings): Beginning every Friday on Oct. 4 from 10-11 am. Location: First Modular south of the Central Administration Parking Lot. Sign on the back door. Free books from Dolly Parton's Imagination Library! Contact Wendy Gamble at wgamble@ccsd1.org or contact her at 307-358-2942. You can click here to check our CCSD1 page on their site. You can register your child to receive a free book until their fifth birthday that is appropriate for their age. Spending time with your child and an open book is a wise investment. 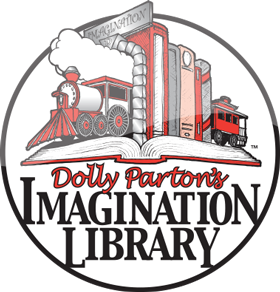 If your child lives in Douglas, register for Dolly Parton's Imagination Library. Let's celebrate reading!! Fill out the registration form and return it to HeadStart for your child to start receiving a free book every month in the mail!